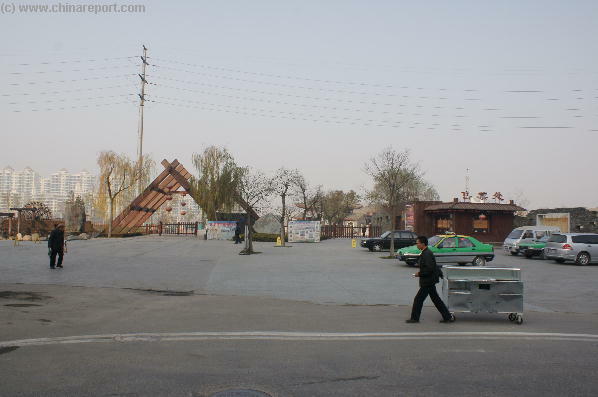 Welcome to China Report's Digital Introduction to the Waterwheel Park on the South Banks of the Yellow River in the Chengguan District, the original City of Lanzhou, Capital of Gansu Province. 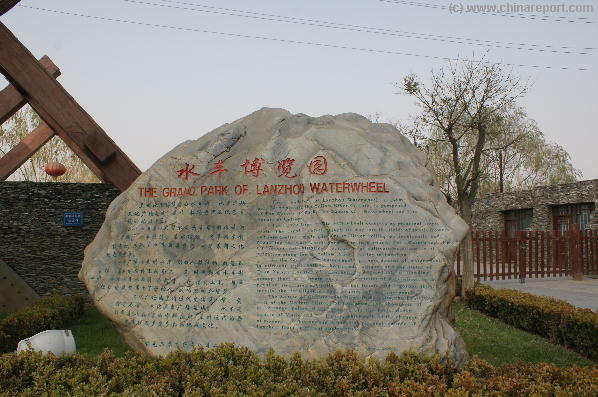 Since the Han Dynasty(206 BC - 220 AD), settlement along the Yellow River was based on irrigated farming employing giant water wheels. Today, modern diesel or electric pumps have replaced most of these examples of intermediate technology. 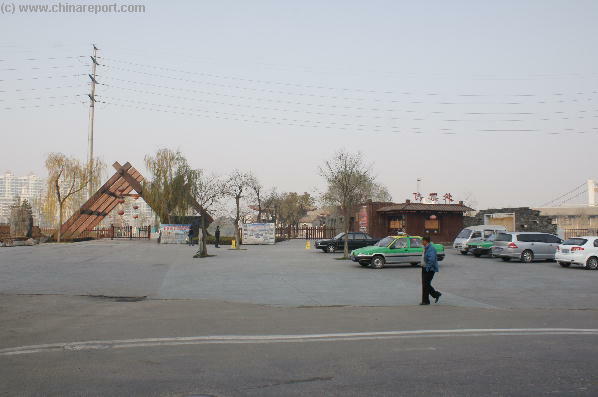 The Water-wheel Park at the west side of the Binhe Road, to the west of the Yellow River Mother Sculpture, is another highlight along the Yellow River in the city. 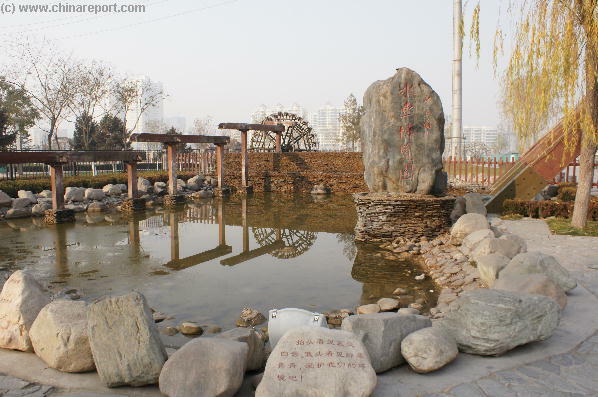 The unique-shaped Water Wheel has a long history and the first reference to it appeared in the Ming Dynasty. It is an ancient device that uses flowing or falling water to create power by means of a set of paddles mounted around a wheel. The force of the water moved the paddles, and the consequent rotation of the wheel is transmitted to machinery via the shaft of the wheel.